This is a franchise business operating under the OSCAR Pet Foods banner. 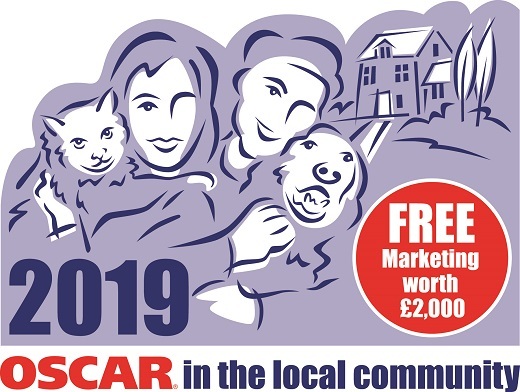 Working from home, OSCAR provides a pet care service that covers a wide range of benefits to pet owners, from British-made nutritious pet food, a comprehensive range of accessories and healthcare products to advice in nutrition and behaviour. An OSCAR pet food franchise opens the door to anyone who loves pets and working with people, while reaping the benefits of self-employment. Having your own business with customers who really appreciate your service makes working for yourself rewarding and satisfying. OSCAR customers in the area of Esher, Surrey and surrounding areas have enjoyed the service, with so much scope for further development, this is a business well worth considering. With the current owner relocating and reluctantly placing the franchise on the market, this is a unique opportunity for you to work from home in a business that offers flexibility to suit your lifestyle. 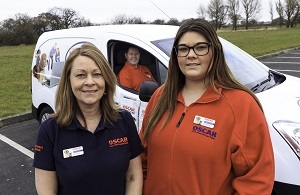 Established in the 1990s and with over 100 franchisees throughout the UK, OSCAR is very experienced in training and supporting its franchisees. Established customer base. Exclusive territory. A strong brand. Tried and tested system. Comprehensive training by experts in their field. A formal nutritional qualification – specific to OSCAR. Options available for vehicle livery. Good selection of marketing materials. Marketing tools. PR system. Discussion forum to network online. Personal customer communication system. Complete accounting package. Detailed franchise reference manual. E-commerce/customer communications. Dedicated reliable delivery service. Personal and convenient free home delivery. Easy payment system. High quality pet foods. Best quality ingredients, vitamins and minerals. Comprehensive selection of accessories, treats and healthcare products. Honest label policy – 100% quality assurance. OSCAR continues to reinforce franchisee development with exciting incentives and avenues of opportunity. As we embark on another year, OSCAR is giving away £2,000's worth of marketing via local and social media platforms. The opportunities are endless, but to kickstart your new business with a combination of outlets will be a great opening for your launch date. To be at the forefront of your local business, you will be looking to provide a committed service direct to the front doors of your community. Reliability with the personal touch creates a bond between you and your customer, ensuring you can offer a valued contribution to your neighbourhood. • Google my Business – making it easier for pet owners to find you and your business. As market leaders in pet food home delivery OSCAR has full membership of the British Franchise Association and the Pet Food Manufacturers’ Association. If you would like to find out more about this exciting resale opportunity, or to ask us a question regarding the specifics of the sale, please complete your details below and OSCAR will be in touch! The franchisor may opt to send you the free information packs via email. Please ensure your email is accurate. Please send me FREE updates on the latest franchise opportunities and news.